SANTIAGO/RIO DE JANEIRO, Feb 11 2017 (IPS) - A model for fighting against hunger and malnutrition with a global reach which has been successful within and outside the region has spread worldwide, first from Brazil and then from Latin America, notes a distinction given to the current Director-General of FAO (United Nations Food and Agriculture Organisation), José Graziano da Silva. Graziano was included in the 2016 ranking of “Global Latin Americans” with influence at a global level, drawn up by the international edition of the journal AméricaEconomía, along with Pope Francis from Argentina, Mexican business magnate Carlos Slim, Peruvian writer Mario Vargas Llosa, microfinance pioneer María Otero, who was born in Bolivia, famous Peruvian chef Gastón Acurio, Mexican-born journalist Jorge Ramos and Venezuelan poet Rafael Cárdenas, among others. “He has been one of the most steadfast advocates of food security, working on the whole issue of rural life, which is why we put him on the list,” the journal’s director of digital media, Lino Solís de Ovando, told IPS. AméricaEconomía, an international journal that is published in Santiago and which also has eight national or subregional editions as well as a large digital platform, seeks with this “unprecedented ranking to provide a list of the 25 most influential men and women,” he said. Not all of them are “in the front row,” but they are all “people who truly generate global change” with their activities, he said. Graziano, director-general of FAO since 2012, a post he will hold until 2019 after he was reelected for a second term in 2015, led the team that designed Brazil’s “Zero Hunger” programme, which gave rise to a new global model. “The recognition of people is an acknowledgment of the ideas and the causes to which they devote their lives. In this case, it is a recognition of rural development and the fight against hunger in Latin America and worldwide,” Graziano said on Thursday Feb. 9, referring to his inclusion on the list of Latin Americans with the greatest global influence. Named special minister of food security and the fight against hunger (2003-2006) during the first years of the presidency of leftist Luiz Inácio Lula da Silva (2003-2011), “Graziano played a decisive role in coming up with strategies to combat hunger, combining structural and emergency actions,” the executive director of ActionAid International, Adriano Campolina, told IPS. “His efforts translated into loans to family farmers, improved school feeding and income transfer policies, among other initiatives,” Campolina said from the humanitarian organisation’s headquarters in Johannesburg, South Africa. Graziano was in charging of setting in motion “the most important programme in Lula’s administration, Zero Hunger, which had the full acceptance of all segments of Brazilian society, even the opposition to Lula’s Workers’ Party (PT),” said Frei Betto, who helped design and launch the programme, as special adviser to the president. “Zero Hunger comprised more than 60 complementary and empowering programmes, including agrarian reform, unionisation, family agriculture, and rainwater harvesting others,” said the well-known Catholic writer, who is also an adviser to different social movements. Its administration was in the hands of “civil society organised in Management Committees, which were created in more than 2,500 municipalities, half of Brazil, during Graziano’s term of office,” said Betto. But in 2004 the government decided to focus its efforts on cash transfers, through Bolsa Familia, “which was compensatory in nature”. That led to Betto’s resignation, while Graziano became adviser to the president, until he was named FAO’s regional representative in Latin America and the Caribbean in 2006. The replacement of Zero Hunger with Bolsa Familia, which provided direct subsidies, was due to pressure from municipal authorities who wanted to control the lists of beneficiaries for electoral purposes, said Betto. “Fortunately, Graziano was recognised internationally, elected and re-elected as head of FAO, to take the initiative and experience of Zero Hunger to other countries,” he said. “At FAO, Graziano had the political courage to recognise the key role played by small-scale family agriculture, women farmers, agroecology and sustainable agriculture in eradicating hunger,” said Campolina. Recognising these tendencies, instead of prioritising large-scale agriculture and transnational corporations that abuse toxic agrochemicals, is “the paradigm shift that makes it possible to combat the structural causes of hunger,” he said. “Graziano’s leadership strengthened the fight for access to land and sustainability and boosted family farmers, who produce 80 per cent of the world’s food,” said ActionAid’s executive director. 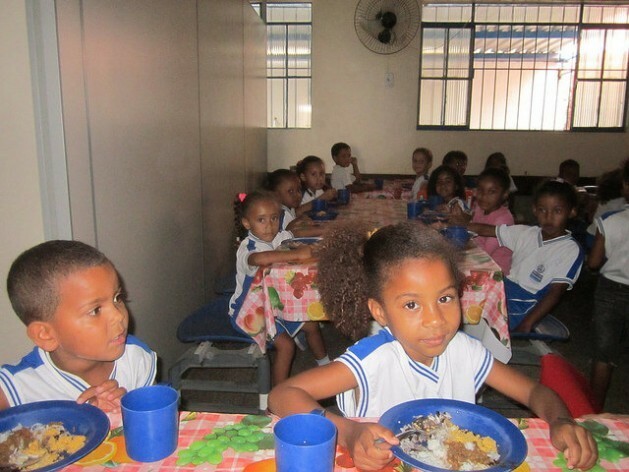 For this to happen, Menezes said, governments must reinforce the implementation of the Food Security, Nutrition and Hunger Eradication Plan developed by Celac with FAO support, whose goal is to put an end to the problem in the region by 2025. Solís de Ovando also underscored FAO’s focus, during Graziano’s administration, on the issue of obesity and overweight, which affect 360 million people in the region, according to a study released by the organisation in January. 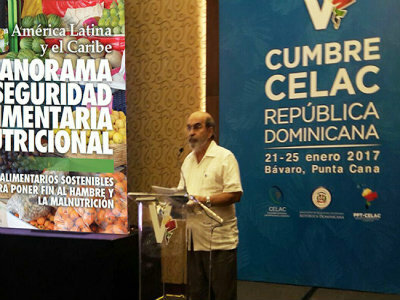 In its “Global Latin Americans” 2016 ranking, AméricaEconomía also highlighted the efforts made by the head of FAO in South-South cooperation and the exchange of solutions and experiences between countries of the different regions of the Global South, with the goal of achieving food security and sustainable development.